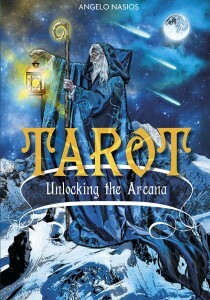 Cyndera Quackenbush interviews Angelo Nasios, author of the book Tarot: Unlocking the Arcana. Temperance is the card under discussion; a card whose angel symbolizes the “middle way” path as a solution between extremes. The need for this in today’s culture, a political and lifestyle landscape of polarities, is explored with an eye on the upcoming election (some cussing ensues US Presidential naturally as a result!). Angelo and Cyndera also take a deeper look into how tarot works, identifying spiritual and psychological components in its understanding.